I Love My Harrods Bag! 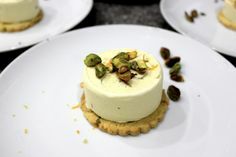 If you’re looking for great gift ideas while in London, you’ll want to plan a trip to Harrods and visit their Gift Shop. Even if you’re not a big shopper Harrods is one of those classic London experiences not to be missed. 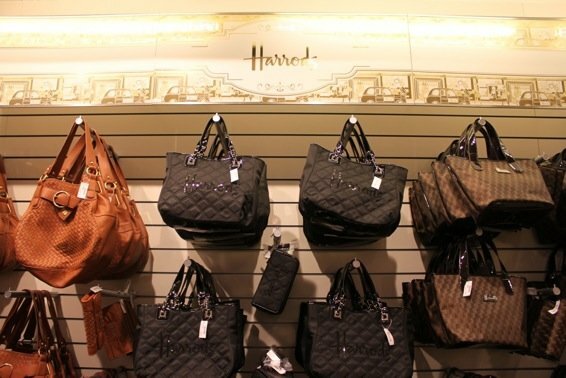 If you are in London for shopping then Harrods is like a dream! They have an outstanding collection of just about everything you can imagine. 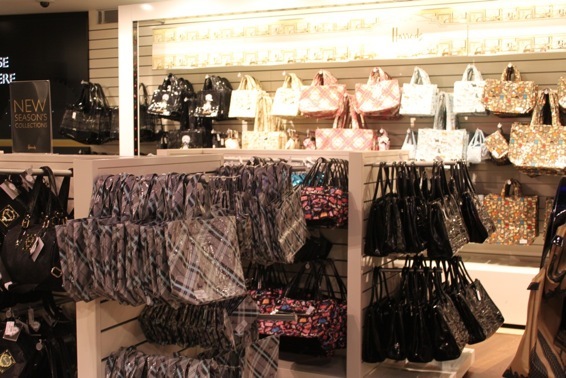 Not long ago we were in the Gift Shop located on the second floor looking for the perfect handbag as a gift for a friend. 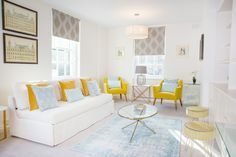 The selection was more than impressive … it was awe inspiring! 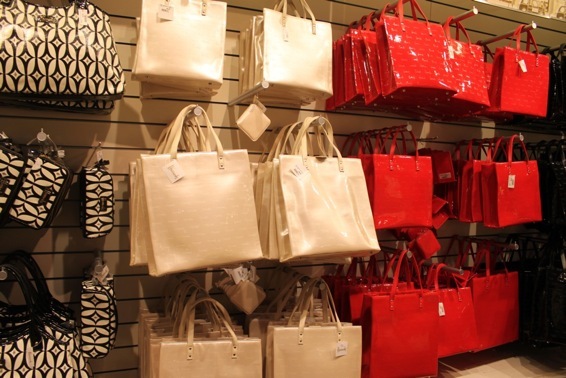 You’ll find everything from elegant handbags and purses to fun shopping bags and tote bags. 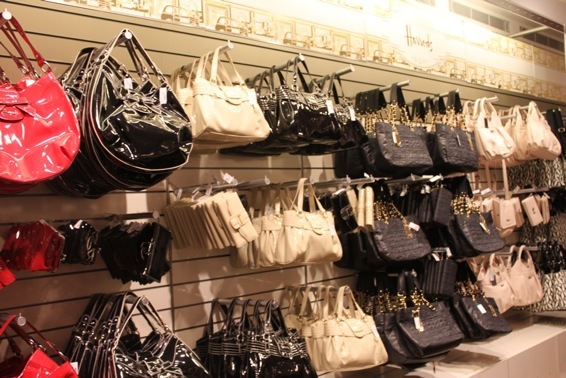 There were young styles, patent leather handbags, clutches, wallets and more in just about ever color you can imagine. 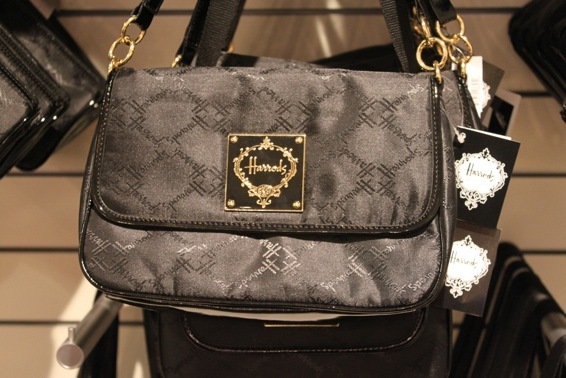 A classic handbag from Harrods makes a great gift for friends and family at home. 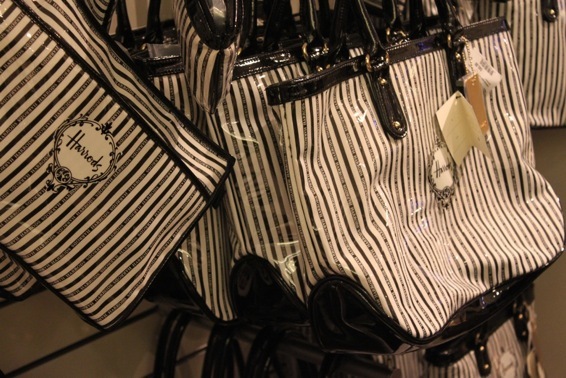 Or pick one up for yourself and you’ll be reminded of London every time you carry it with you! The selection of shopping bags was mind boggling. 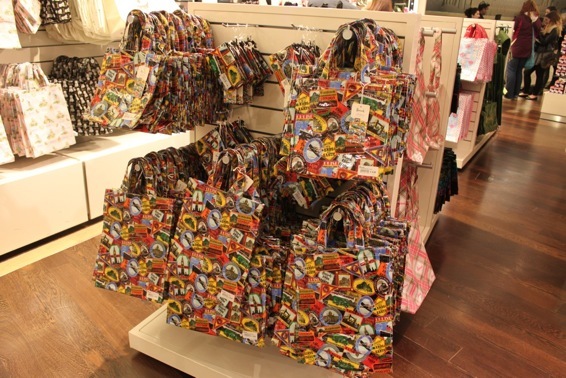 Here a bag, there a bag … everywhere more shopping bags! 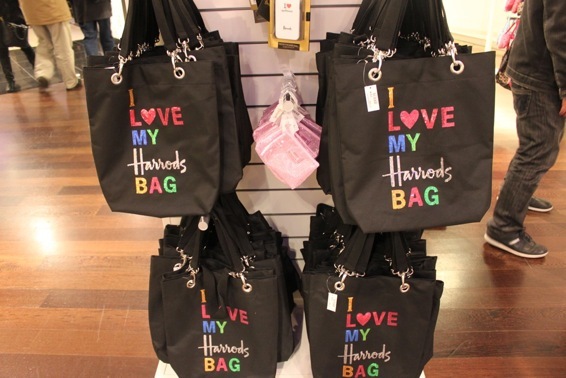 The shopping bags at Harrods also make great gifts since they pack flat in your suitcase. You might end up using one as a carry on bag on your way home, too. 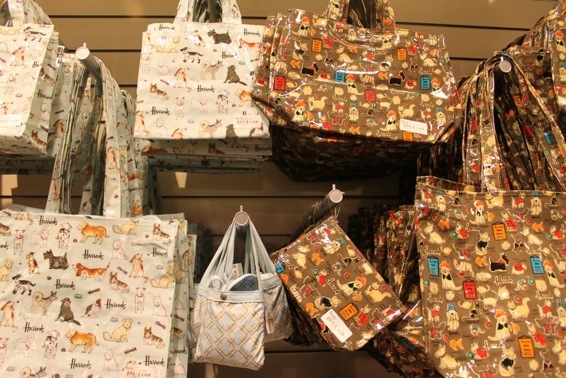 If you love dogs or know someone who does, the classic Harrods dog shopping bags are a cute gift! 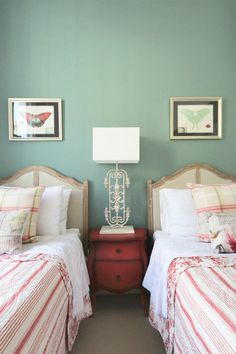 They come in several different styles, sizes and patterns. 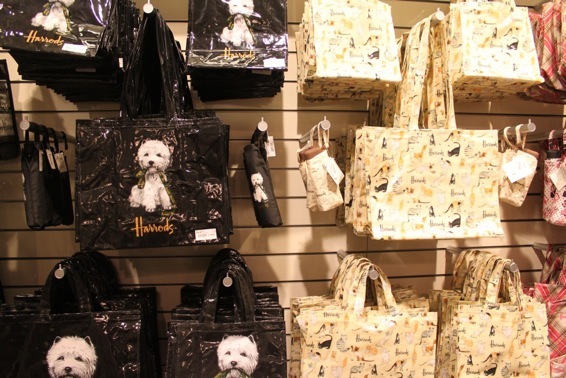 The cute white West Highland Terrier is one of the classic Harrods symbols, but there are also lots of other prints to choose from for the dog lovers out there. 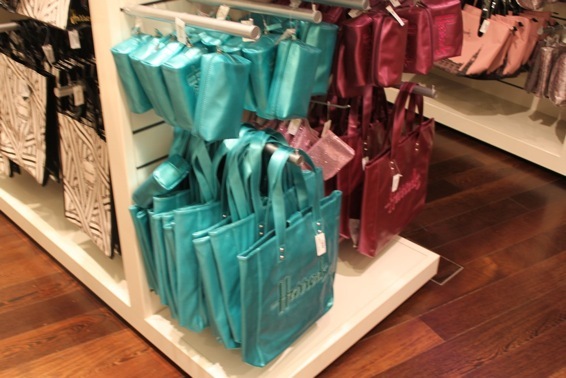 You’ll find a shopping bag for everyone’s taste! 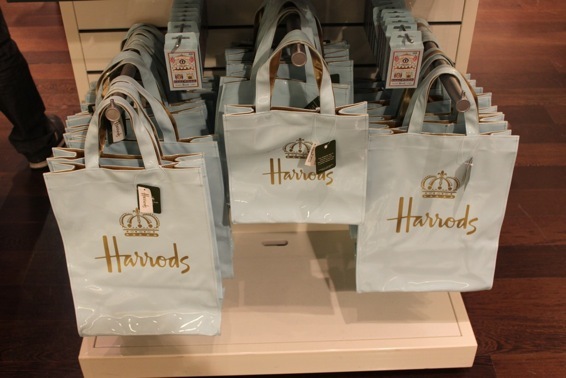 We liked these light blue bags with the Harrods name and gold crown insignia printed on the front. You’ll find many other great gift ideas at the Harrods, too. Just pick up a printed Store Guide when you arrive and that’ll help you find your way to the Gift Shop on the second floor. Have fun shopping at Harrods! Posted on Tuesday, August 21st, 2012 at 10:14 am in Shopping. You can follow any responses to this entry through the RSS 2.0 feed. You can leave a response, or trackback from your own site. Is this in the airport? In which mall is this shop located? It’s inside the Harrods department store.